Vaccination is the key to your pet's overall health. Unless properly vaccinated, your pet is at risk of contracting and spreading one of several, possibly fatal, infectious diseases. Most common infectious diseases can be prevented by routine vaccination. 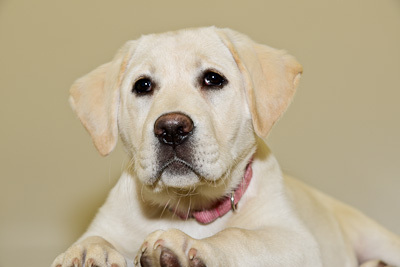 Puppies should begin their vaccination series at 6-8 weeks of age and these vaccines should be boostered every 3-4 weeks until at least 16 weeks of age, when adult immunity takes over. Depending on the vaccine, your pet should then be boostered annually or every 3 years in the case of rabies. We routinely vaccinate dogs for distemper, hepatitis, leptospirosis, parvovirus, parainflueza and corona virus, which is a single 6 way vaccine (DHLPPCVK). 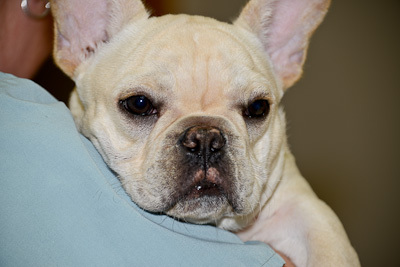 Kennel cough, known as bordetella, is highly contagious and a good idea for most dogs. It is easily transmitted with dog to dog exposure such as dog parks or pet stores. It is mandatory at boarding and some grooming facilities where there is a greater risk of exposure and transmission. Lyme vaccination is also a good idea if you are traveling to endemic areas or have a greater risk of outdoor exposure to ticks. Heartworm disease is a serious and potentially fatal condition caused by parasitic worms living in the arteries of the lungs or in the heart of dogs and rarely cats. The disease is spread by mosquitoes which pick up microfilaria (baby worms) from an infected dog and infect other dogs and cats. These tiny baby worms molt and migrate to the heart and lungs growing into twelve inch long, white, spaghetti-lik e worms. These adult heartworms breed and produce new baby microfilaria which continue the life cycle. Clinical signs, which may not develop for many months, include persistant cough, fatigue, and rapid breathing. A simple blood test that takes just a few minutes will tell us if your dog has heartworms. Although heartworm disease is very common in Indiana, it is very easily prevented. We recommend heartworm prevention year round and blood testing for heartworm disease every two years. For those of you who do not wish to give preventative in the winter months, we recommend heartworm testing annually. PREVENTION IS KEY!